Air quality is perhaps the most complex regulatory issue, yet for many companies, dealing with air quality issues is a part of doing business. At GEL Engineering, it’s our job to know the intricacies of current and proposed regulations and how to apply them effectively to our clients' operations. Poorly written permit applications and air permits have a long-lasting negative impact. Our goals are to balance, maximize and streamline the process for you. We balance regulatory requirements with clients' operational needs. We maximize flexibility, and we streamline reporting. Obtaining a construction permit or permit exemption is the first step in completing a new project or modifying an existing process. GEL Engineering begins by developing a detailed project emissions assumptions and calculations document. Then we thoroughly evaluate potentially applicable regulations to compile a complete permit application package to submit to state and/or federal regulatory agencies. Following application submittal, GEL Engineering provides a comprehensive technical support system to respond to regulatory agency requests and negotiate the most effective streamlined permit for your facility. 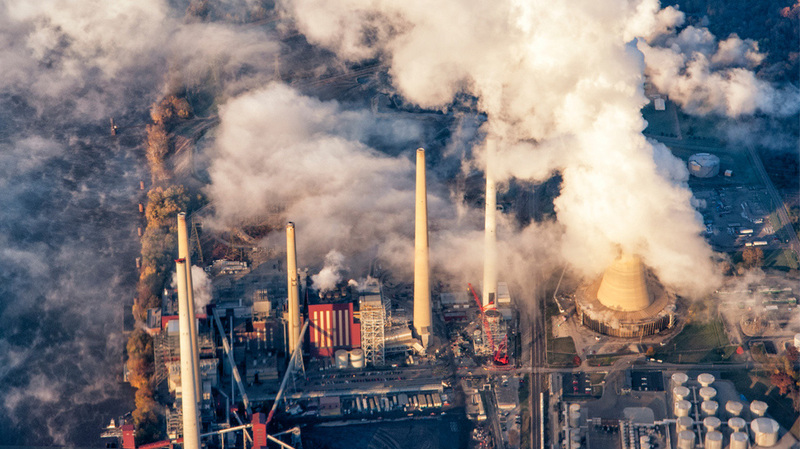 Air dispersion modeling is used by state and/or federal regulatory agencies to confirm the compliance status of a facility’s air pollutant emissions. Air dispersion modeling predicts how pollutants are dispersed in the atmosphere from different pollution sources taking into account building influences, topography, meteorology, downwind distances, and other factors. GEL Engineering provides both screening and refined modeling services to evaluate a facility’s compliance status with National Ambient Air Quality Standards, Prevention of Significant Deterioration (PSD) increments and state toxic air pollution standards. An air dispersion modeling analysis is often required in conjunction with air permitting. As air quality regulations grow more stringent, obtaining and complying with Prevention of Significant Deterioration (PSD) air permits can be a daunting task. PSD applications can include detailed Lowest Achievable Emission Rate (LAER) analysis, Best Available Control Technology (BACT) analysis and case-by-case Maximum Achievable Control Technology (MACT) analysis, which evaluate the technical and economic feasibility of established and new innovative control technologies — for example the use of thermal oxidizers, catalytic oxidizers and biofiltration units for volatile organic compound control. Title V operating permits often contain numerous monitoring, recordkeeping and reporting requirements. GEL Engineering can assist with meeting these multitudes of requirements. Achieving compliance with stringent air quality regulations often requires the use of air pollution controls on new or modified sources. GEL Engineering reviews available control technologies and provides a comprehensive technical and economic assessment to allow a facility to choose the best technology that fits their needs. A case-by-case Maximum Achievable Control Technology (MACT) analysis evaluates similar type sources to identify the MACT floor and conducted a beyond the MACT floor analysis. The MACT analysis includes a detailed review of pollution control equipment for technical and economic feasibility. A Best Available Control Technology (BACT) analysis is used to establish an emission limitation based on the maximum degree of reduction including the use of pollution control equipment, application of innovative production methods or use of alternative raw materials on a case-by-case basis, taking into account energy, environmental, and economic impacts and other costs. Emissions testing provides valuable information that can be used for air permitting, regulatory compliance demonstrations, evaluation of air pollution control performance, process efficiency studies, and continuous emission monitoring certification. GEL Engineering can provide valuable guidance to assist with compliance of facility’s permit limits. Learn more about our emissions testing services. Experience and expertise. The complexities of air quality monitoring demand that your consultants come to the table with knowledge of what it takes for accurate measurement and quality reporting. GEL Engineering is an industry leader due to our ability to craft permit applications that allow regulatory agencies to issue permits in a timely manner. Project lifecycle. We offer a full complement of air quality services. That means you don’t have to find, select, and coordinate with many different vendors to try and move your project from launch to finish. Every step of the way, you work with one team of people who know the details of your project. We believe in partnerships with our clients and strive to function as an extension of your business. Superior service. We have succeeded in this business because we go the extra mile for our clients, and we pride ourselves on delivering great service every day. That’s why you can expect us to respond quickly and courteously to any request, provide outstanding work on time and advise you expertly through all phases of your project. Contact us to learn more about our air quality services.